Beginning in 2017, Trinity Health – New England hospitals will expand their existing partnership with Quinnipiac to include students enrolled at the Frank H. Netter MD School of Medicine, the School of Nursing and the School of Health Sciences at Quinnipiac University. 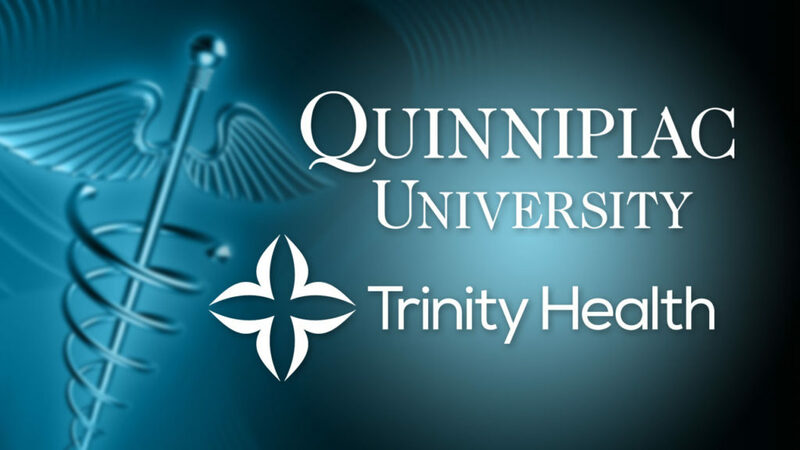 Trinity Health – New England and Quinnipiac University today announced the signing of a primary educational affiliation to train the next generation of health care providers to meet the health care needs of patients in Connecticut and Massachusetts. This affiliation will provide students with opportunities to complete their clinical rotations at any of Trinity Health – New England’s facilities in Connecticut and Massachusetts. Trinity Health – New England’s Regional Health Ministry includes Saint Francis Hospital and Medical Center and Mount Sinai Rehabilitation Hospital in Hartford, Johnson Memorial Medical Center in Stafford Springs, and Sisters of Providence Health System, which includes Mercy Medical Center, in Springfield, Massachusetts. Saint Mary’s Health System in Waterbury will also be a participating provider after the Office of Health Care Access approves Trinity Health – New England’s Certificate of Need to include Saint Mary’s in its regional health ministry. That approval is anticipated later this summer. “The partnership with Trinity Health – New England will support the educational programs in Quinnipiac’s schools of medicine, nursing and health sciences, and provide our students with high-quality teachers, mentors and clinical facilities in which to learn,” said Bruce Koeppen, M.D. vice president of health affairs and founding dean of the Frank H. Netter MD School of Medicine at Quinnipiac. Trinity Health – New England hospitals have a long history of training health professionals from multiple educational institutions, including a strong commitment to providing clinical sites for students from the University of Connecticut School of Medicine. In addition, Saint Francis has been a training site for nursing, physician assistant and other health professional students from Quinnipiac for many years.